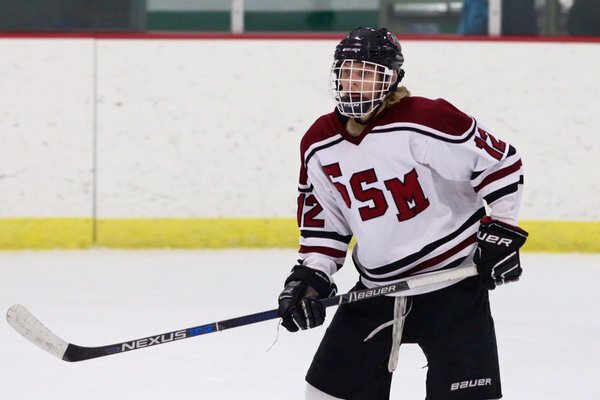 Shattuck-St. Mary’s forward Kaden Bohlsen verbally committed to the Gophers, he announced on Twitter Monday. Bohlsen, a Willmar, Minn., native, is the first 2001-born recruit committed to the Gophers. Though only 15 years old, he is listed at 6’0, 155-pounds and touted as a big-bodied physical presence. The young recruit still has plenty of time to grow and develop before playing his first college hockey game. The first season he would likely play with the Gophers will be 2019-2020. Bohlsen scored 32 goals, 26 assists in 32 games with Shattuck’s Bantam Tier 1 team. The group won the USA Hockey U14 Tier 1 national championship earlier this month. Bohlsen joins Jaxon Nelson as the youngest recruits verbally committed to the Gophers. Nelson, a 2000-born forward from Magnolia, Minn., just finished his sophomore season at Luverne High School where he totaled 70 goals and 43 assists. Nelson also has a big body, listed at 6’3, 192 pounds. Bohlsen becomes the seventh Shattuck product currently committed to the Gophers. The list includes goaltender Ryan Edquist, defensemen Ryan Lindgren and Josh Maniscalco, and forwards Brannon McManus, Rem Pitlick and Scott Reedy. Who did Bud Grant, Tracy Claeys pick to win the Stanley Cup playoffs?